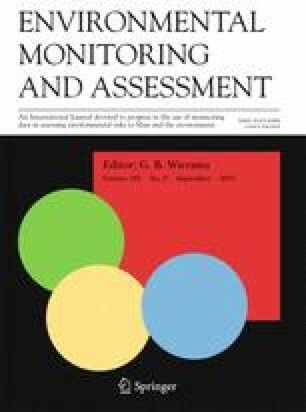 The article presents the results of chemical andmicrobiological measurements of the water quality in theBuško Blato reservoir, the largest in Europe, in the period 1989 to 1998.The aim was to observe possiblechanges in water quality during the past decade and itsinfluence on the downstream section of the Cetina River andits numerous tributaries and reservoirs, where there are twolarge regional water supply systems. This reservoir wasbuilt in order to exploit the high hydro-electric potentialof small streamflows in the karst fields of south-westernBosnia. It has strongly influenced the hydrologicconditions of the downstream section of the Cetina River.Buško Blato is a relatively shallow reservoir with the meandepth of 5 m. It covers an area of 57 km2. The waterexchange in the reservoir is slow, occurring from one toseveral years. When the water inflow exceeds the hydroelectric plant demands the excess water is delivered by a reversible channel and pre-pumped into the Buško Blato reservoir. The total and carbonate water hardness in thereservoir is lower than in the Cetina River and in typicalkarst streamflows, since the water in this reservoir comesmainly from surface sources including numerous springs withhigh capacity oscillations, torrents and rainfall.Measurements, carried out during the past years, showed asignificant increase in nitrate content as well as in thecoli bacteria and a less significant increase in totalphosphorus content. The water quality was evaluated asmezotrophic according to the total phosphorus content basedon the Carlson index of trophic level, a lower quality thanin the Peruča reservoir, upstream on the Cetina River. Thelatter contains a smaller phosphorus content and wasclassed between oligotrophic and mezotrophic. According tothese data, employing the Vollenweider equation, the totalphosphorus content in this water should not exceed the meanof 20 mg m-3 P. The results indicate that the water inthe Buško Blato reservoir did not deteriorate the waterquality on the downstream section of the Cetina River.